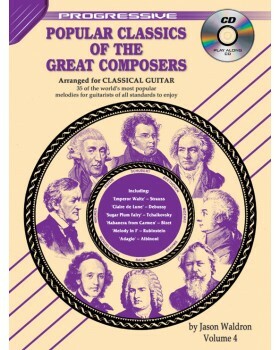 Contains 35 of the world's most popular melodies for guitarists of all standards to enjoy. The music has been written by the classical greats such as Chopin, Brahms, Beethoven, Mozart, Tchaikovsky etc. 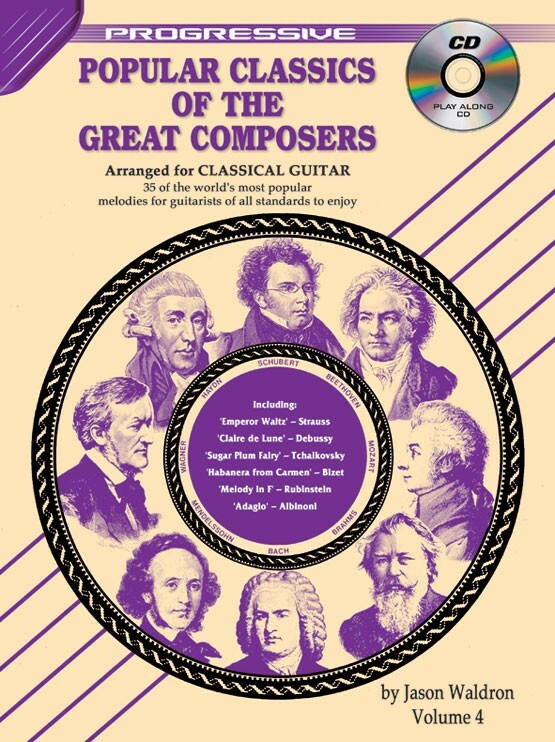 and has been brilliantly arranged especially for the classical guitar, giving students and teachers alike an excellent performance repertoire ranging from very easy to intermediate level.